In 1987, Attention Deficit Hyperactivity Disorder, also known as ADHD, was voted into existence by a show of hands of American Psychiatric Association (APA) members. This is consensus – it is not science. A booklet has been written by Declan Henry, a social worker with an interest in the welfare of young people. 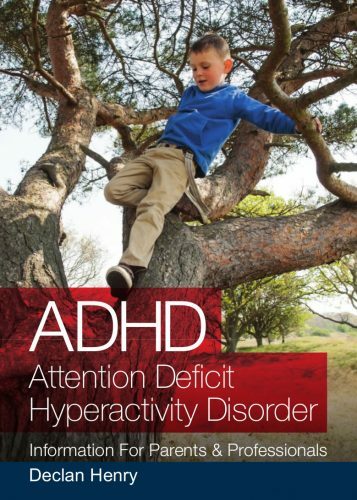 Titled Attention Deficit Hyperactivity Disorder: Information For Parents & Professionals, it examines the issue of problematic behaviour in young people and looks at the ever-increasing numbers who are diagnosed with ADHD. Parents are rarely informed about the potential risks that go hand-in-hand with prescribed drugs. The psychiatric premise revolves around the idea of a ‘chemical imbalance‘ in the brain, an idea that has been accepted without inspection. There are no scientific tests to determine the existence of such an imbalance just as there are no tests to determine if a chemical balance has been achieved. Be fully informed so that you can make a fully informed choice for yourself, and if you’re a parent, for your children.